This’ll be week 3 of the new form of Mostly Homemade Mondays and I’m so excited about all of the submissions we’ve gotten. What we lacked in quantity for last week we more than up for in quality. I hope you all can help us build this party to be even bigger and better by spreading the word! I had a few favorites and did my best to pin, share, and comment on the ones that stood out to me, but there were two that really made me happy! Oh heck yeah. Maple Cinnmaon Rolls by A Finn in the Kitchen. 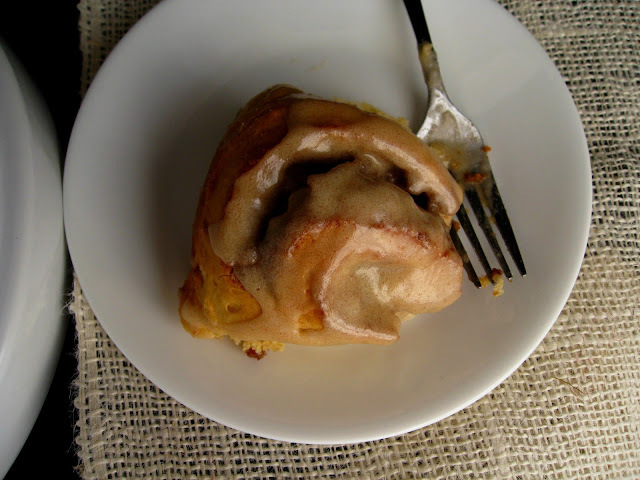 I’ve been considering making cinnamon rolls for as long as I can remember, but still have never gotten around to it. Maybe this will prompt the creative juices in me to finally get around to it! Oh, and one more thing before we get started. Did you know that we’re currently hosting a giveaway with original Homegrown & Healthy magnets? Yayayay, who doesn’t love free stuff? If you haven’t entered yet, you can do so here. If you want to see my favorite articles and blogposts from the last week then check out my most current Pinterest Board here. Check us out to see if your submission made the cut! If you’re an avid Pinterester, you can follow us here to see our pins as they come: http://pinterest.com/cookingmycsa/. Are you new to H&H? Don’t forget to subscribe to our updates. You can also find us on Facebook, Twitter, and all other forms of social media. Great turnout for week 3-- congrats!